Ouachita Baptist University’s 2011-2012 yearbook, the Ouachitonian, has been named a finalist in the Columbia Scholastic Press Association’s 2013 Crown Awards. The Crown Awards are the highest honor in yearbook design and editorial from the CSPA. The CSPA judged 1,344 digital publications, newspapers, magazines and yearbooks last month at Columbia University. 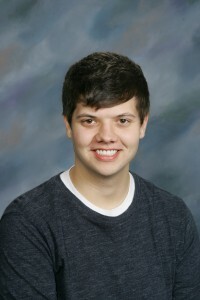 Tanner Huffman, a 2012 mass communications and graphic design graduate, served as editor of the yearbook, which celebrated Ouachita’s 125th anniversary. Ouachita currently enrolls more than 1,530 students, and the next smallest yearbook finalist is Northwest Missouri State with just fewer than 7,000 students. Indiana University is the largest, enrolling more than 110,000. Other finalists include the North Carolina State University, Michigan State University, University of Miami, the University of Oklahoma, Virginia Tech University and Western Kentucky University. Crown Award finalists will be presented with either a Gold or Silver Crown Award during the College Media Convention held this March in New York. Ouachita’s yearbook has received three Gold Crown Awards and four Silver Crown Awards since 1981. “I hope this accomplishment will encourage future Ouachitonian editors and staffs to rise to the challenge by keeping Ouachita and its yearbook at award-winning standards,” Huffman agreed. For more information about the Ouachitonian or Ouachita’s Rogers Department of Communications, contact Dr. Deborah Root at rootd@obu.edu or (870) 245-5510.